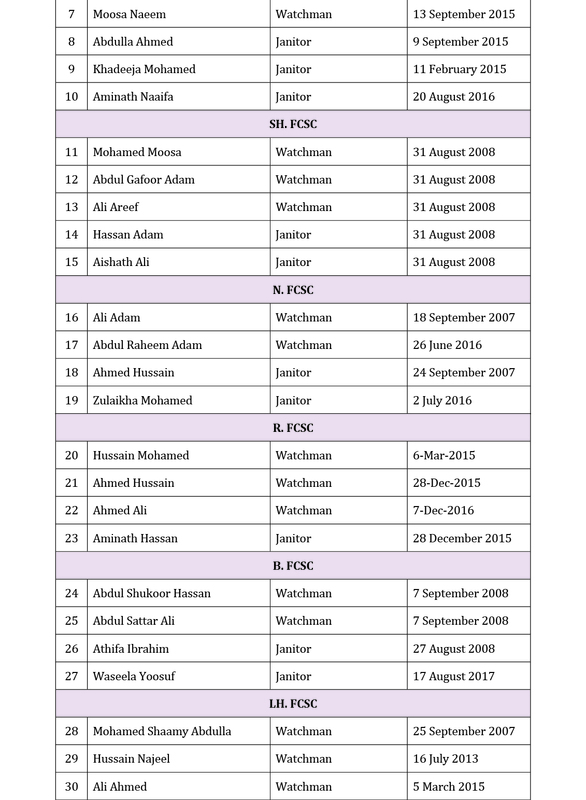 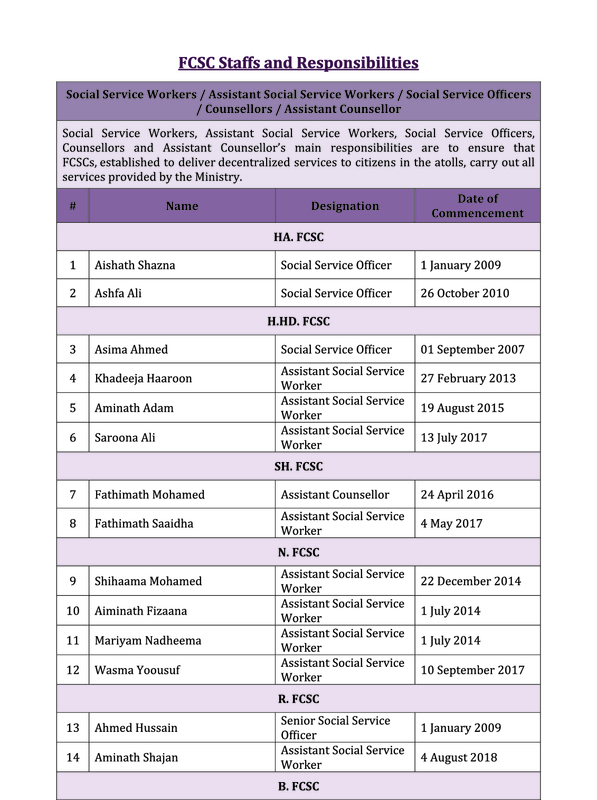 Family and Children’s Services Centres (FCSCs) have been established in 19 atolls to provide social protection services at the atoll level. 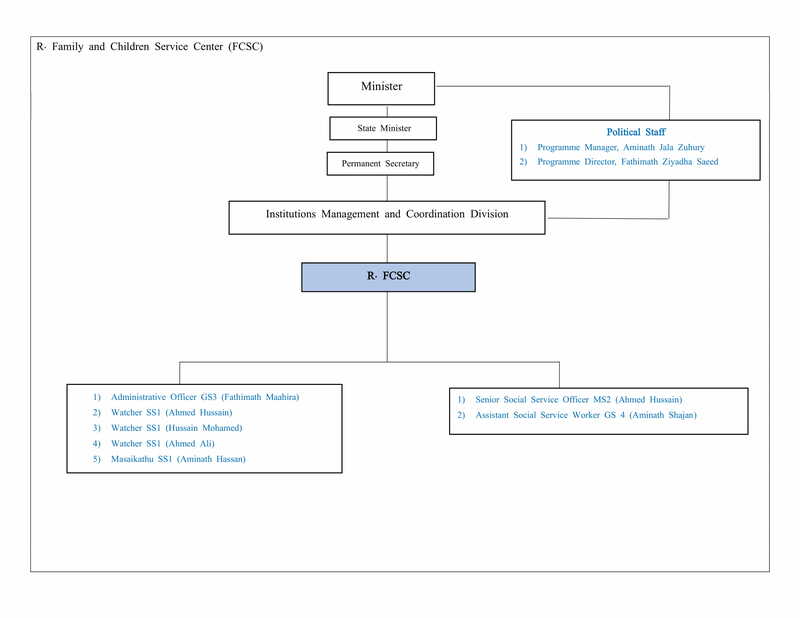 The main aim of these institutions is to provide protection and safety to vulnerable groups including women, children, elderly and persons with disabilities. 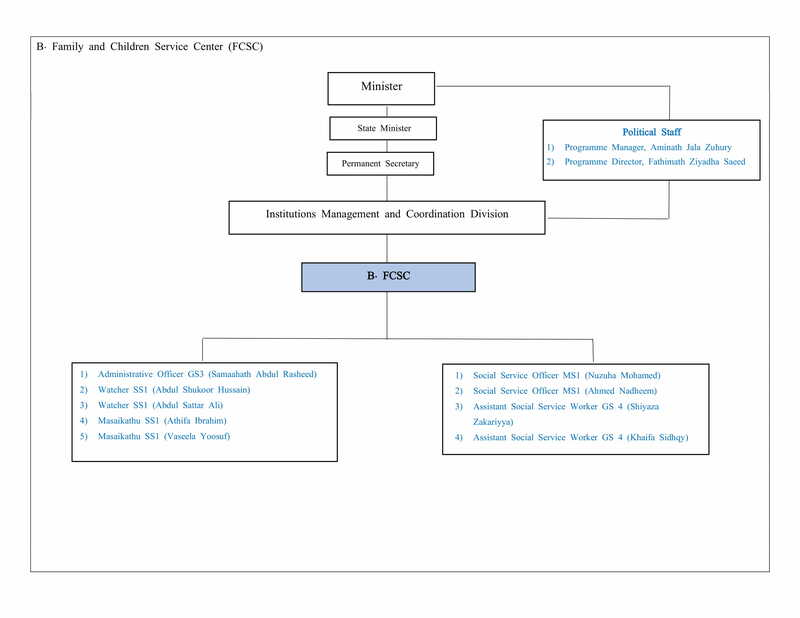 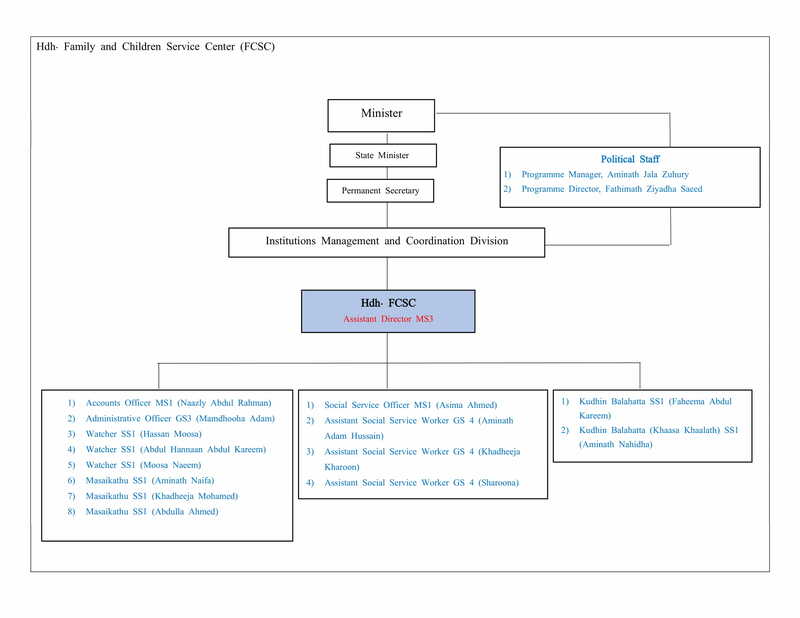 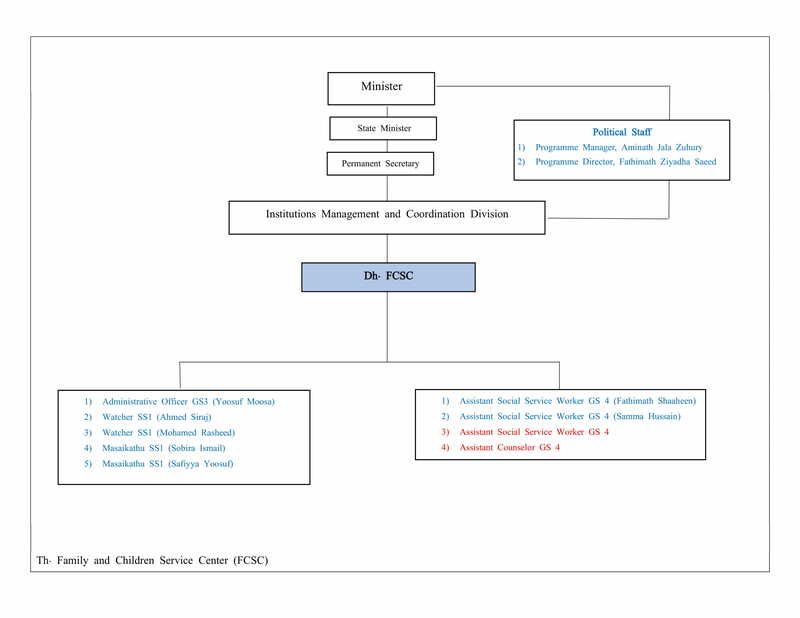 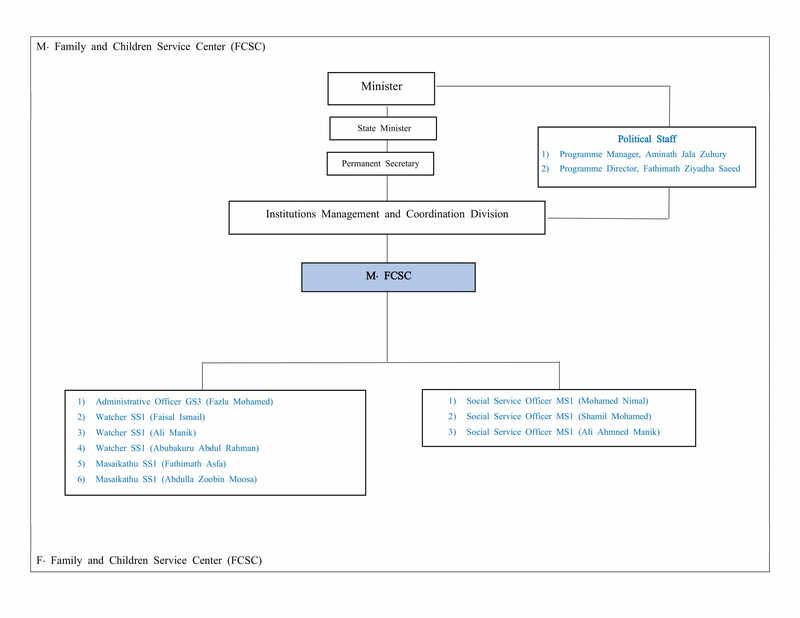 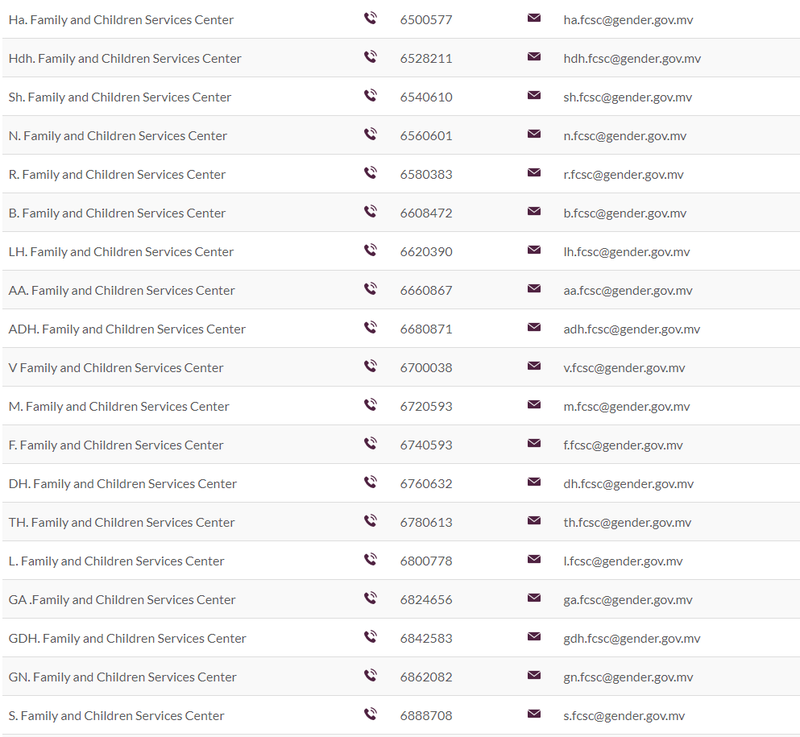 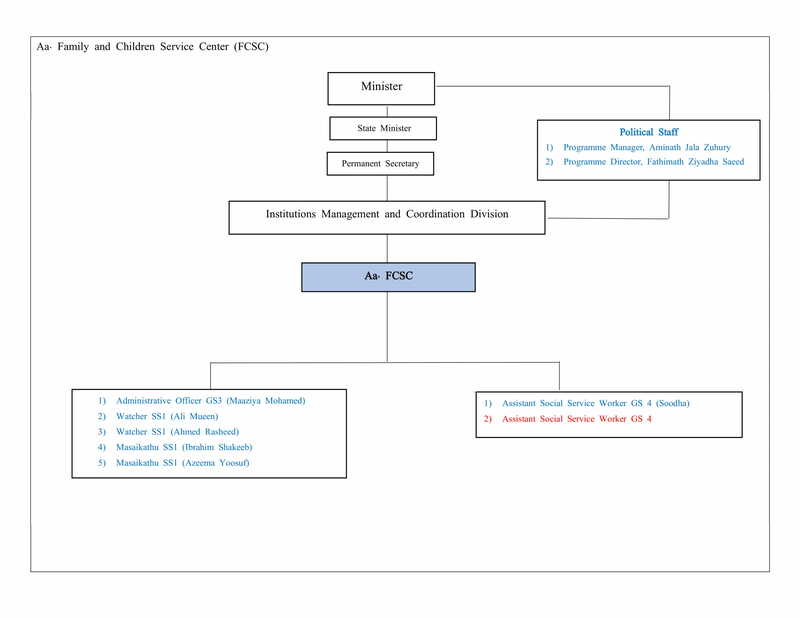 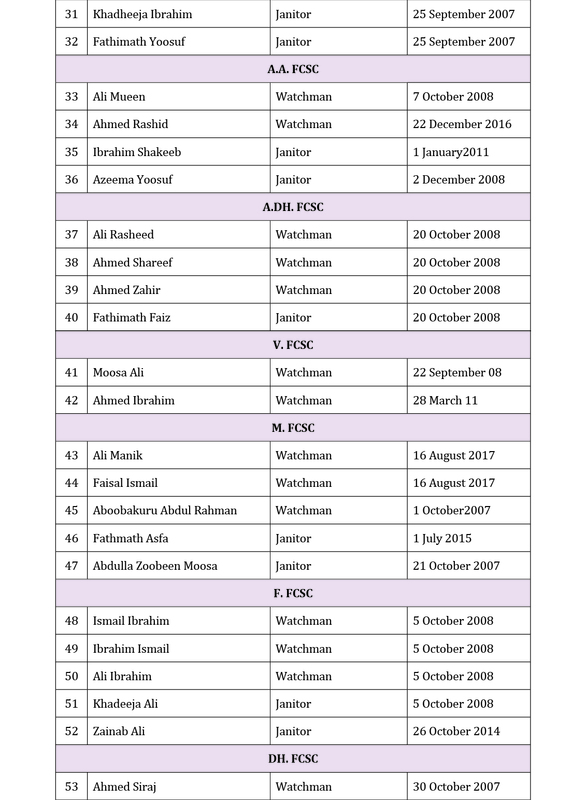 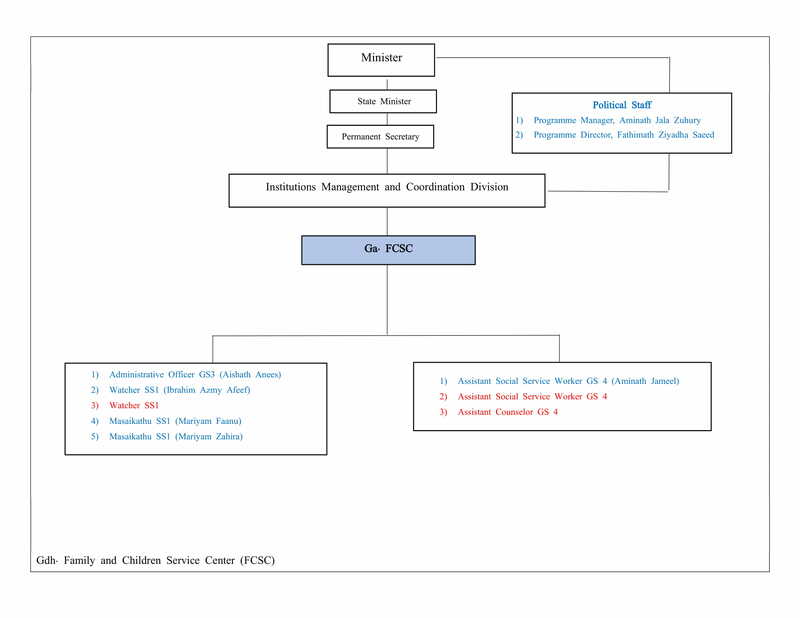 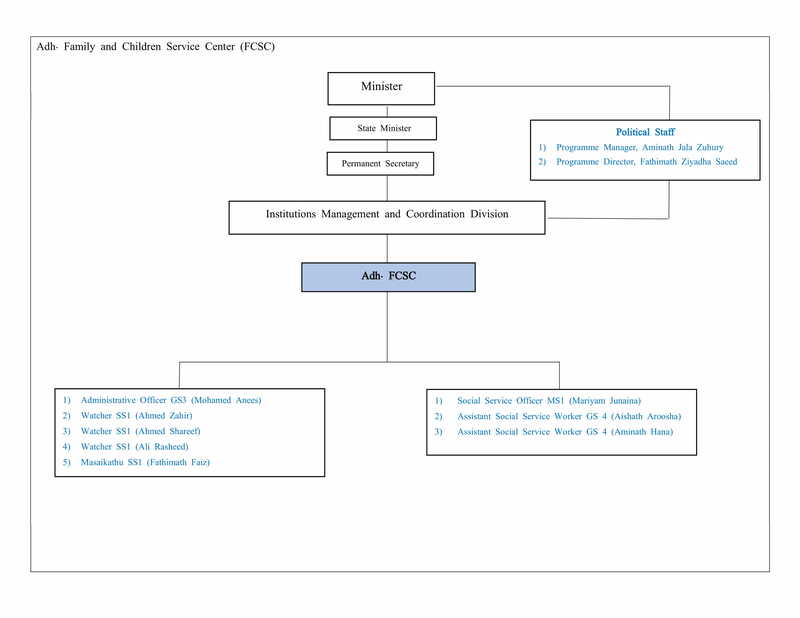 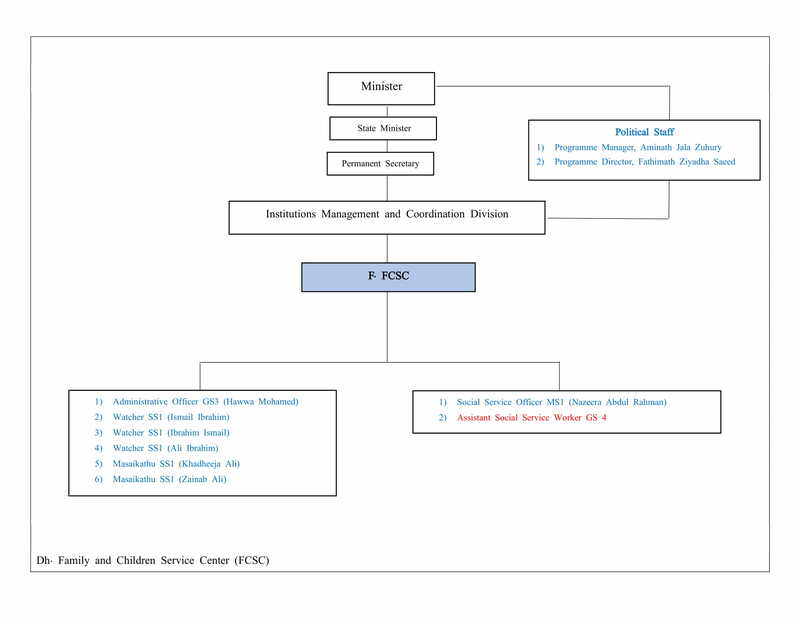 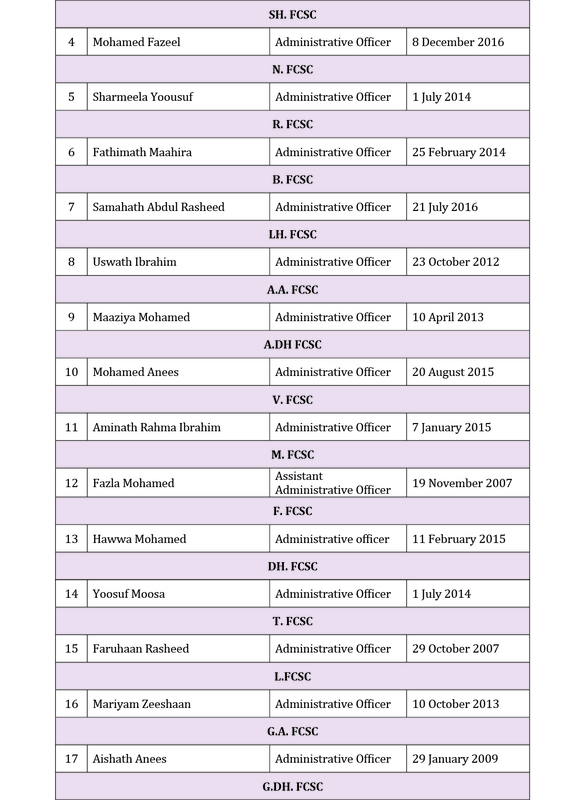 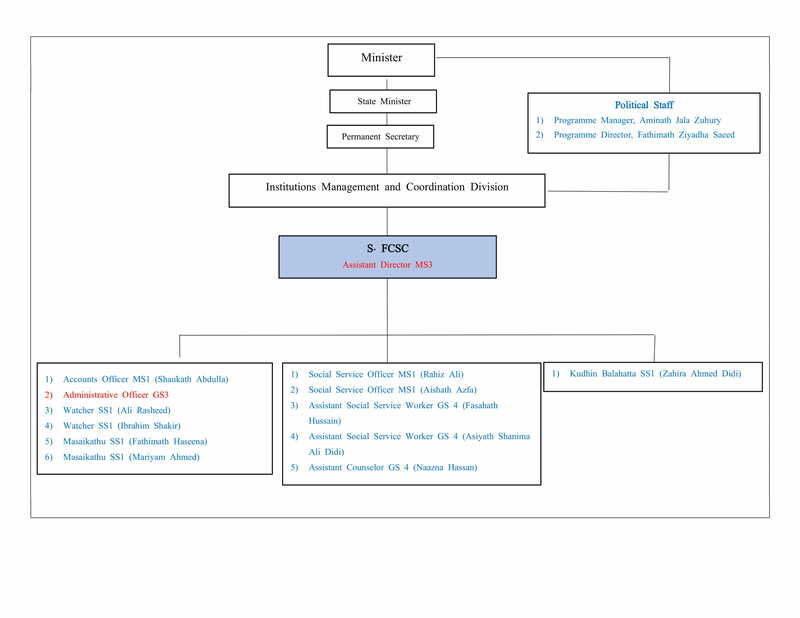 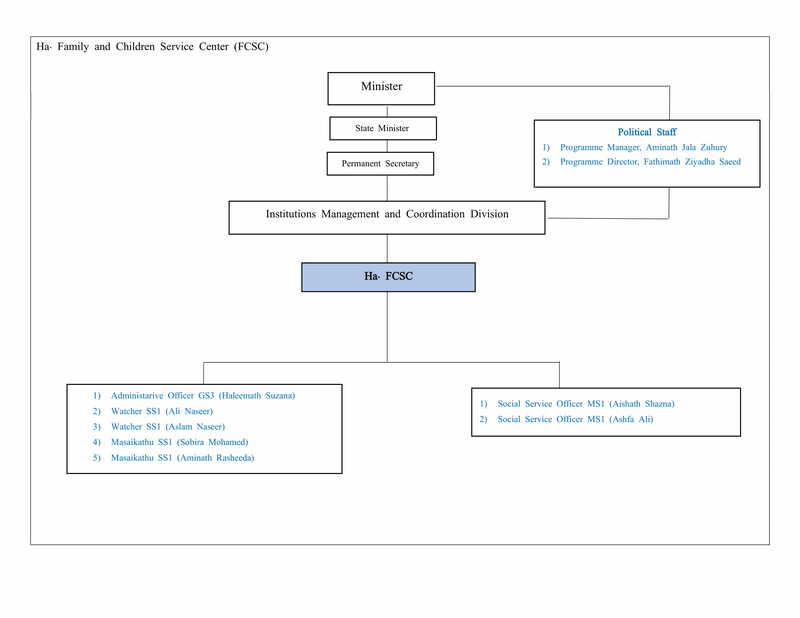 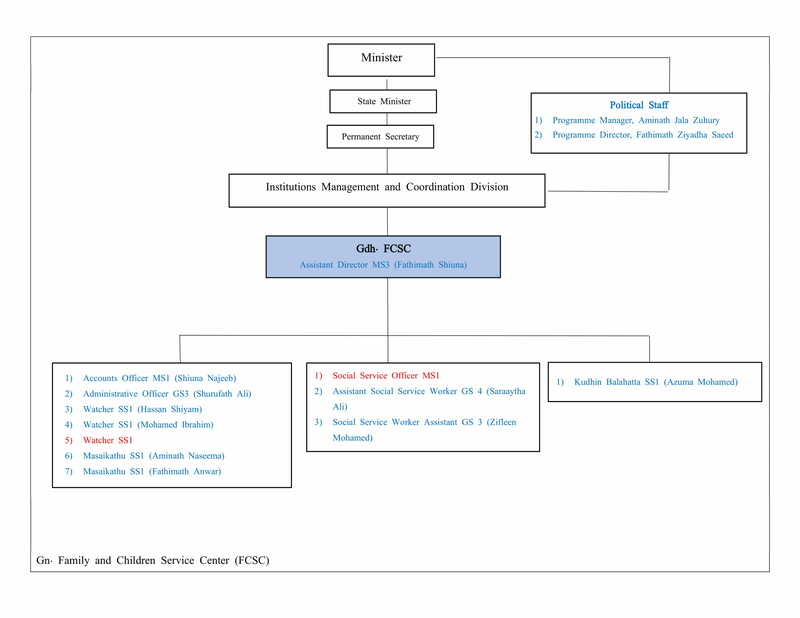 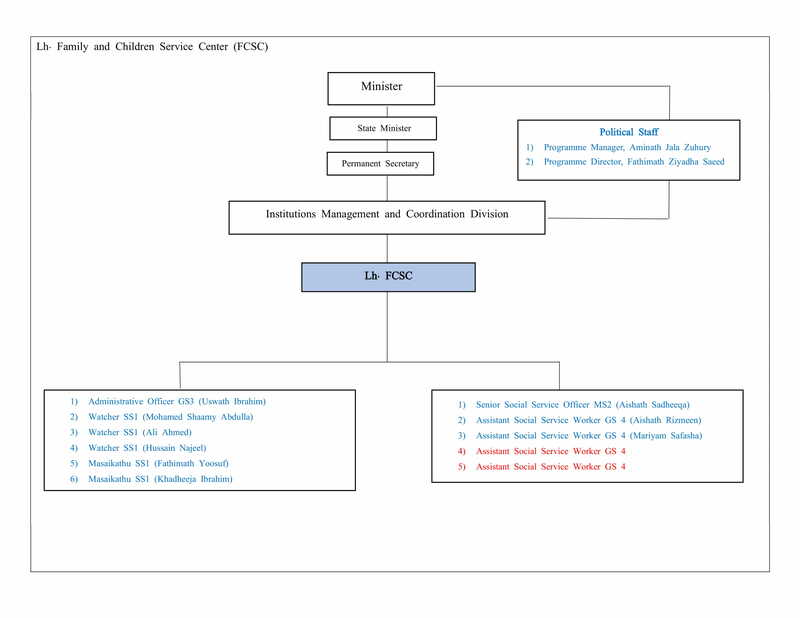 The overall management of the FCSCs is mandated to the Ministry of Gender and Family. 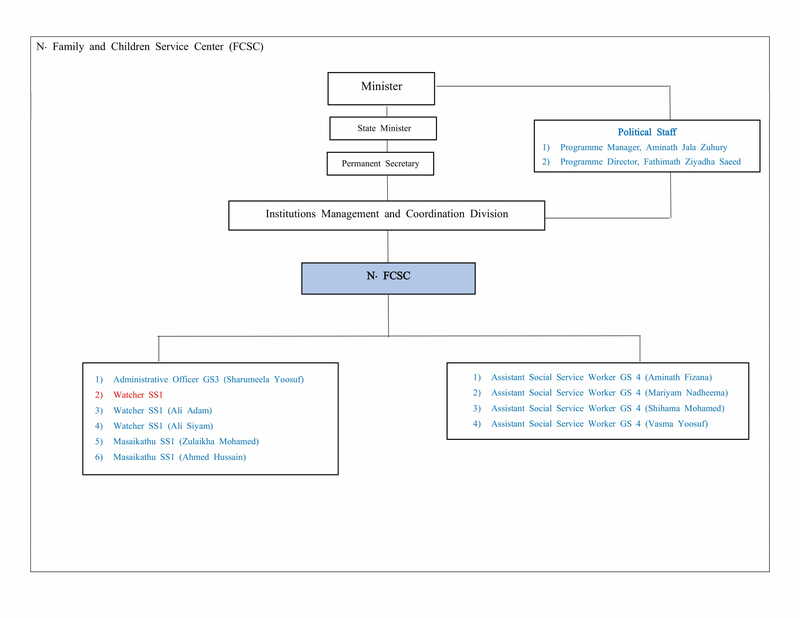 To monitor and regulate the work of institutions established at island level and to ensure that they follow the rules and regulations set forth under Social Protection mechanisms. 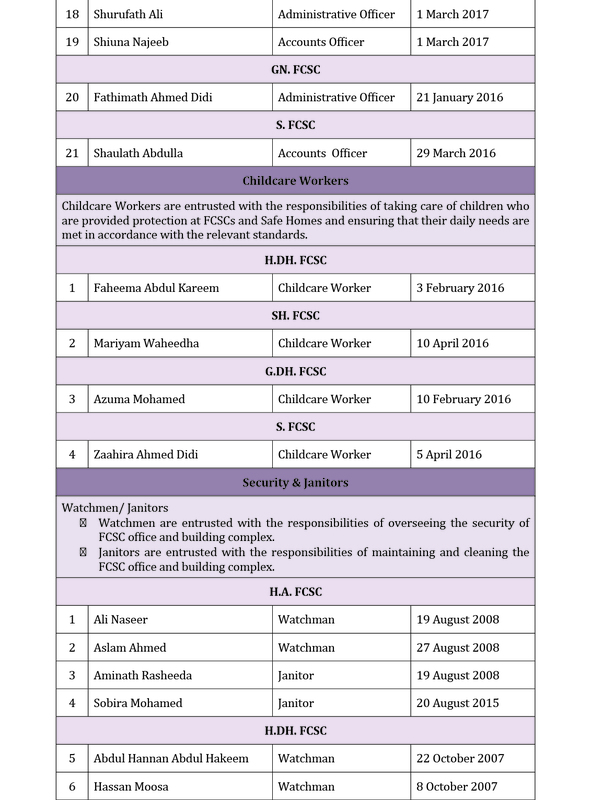 To establish a database to record and monitor all work related to child protection at atoll level and to regularly report to the Ministry. 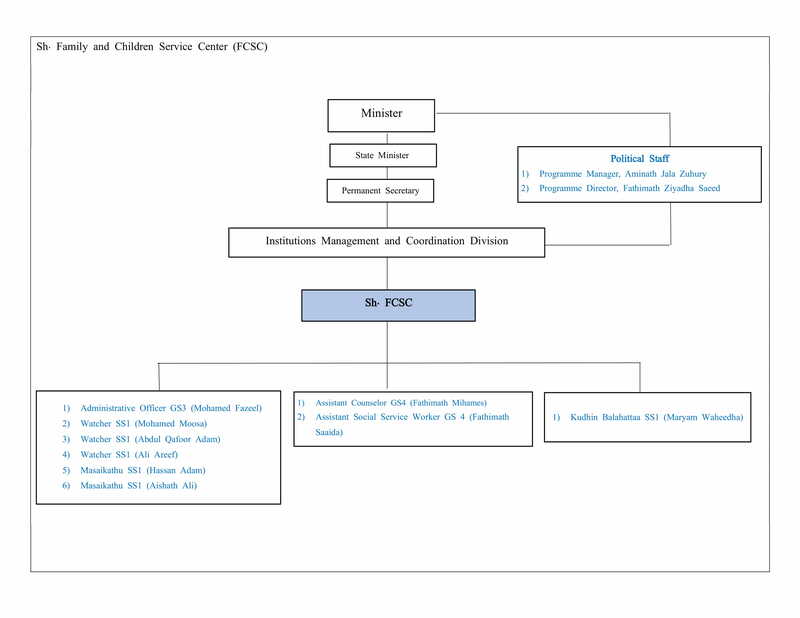 To ensure that women, children, elderly and persons with disabilities are provided psychosocial support in cases of abuse or violations of rights against them. 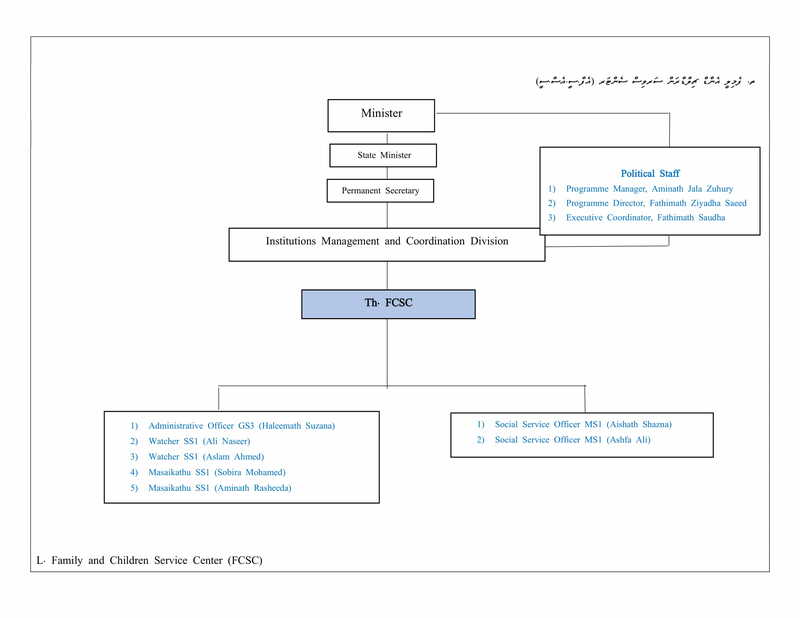 To monitor the work and ensure that relevant stakeholders at atoll level who provide services to women, children, elderly and persons with disabilities who are victims of abuse follow the minimum standards and regularly report to the Ministry. 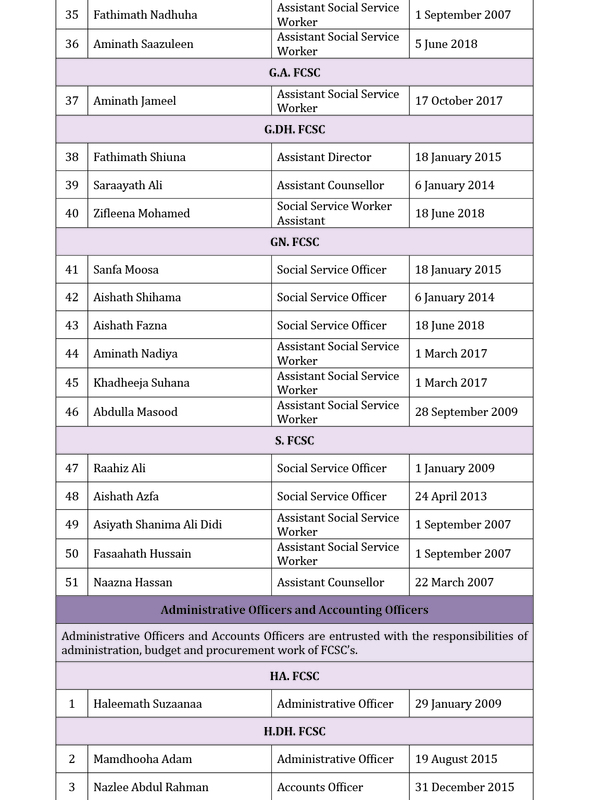 To assist in the implementation of laws and procedures put in place to eliminate violence against women at atoll level. 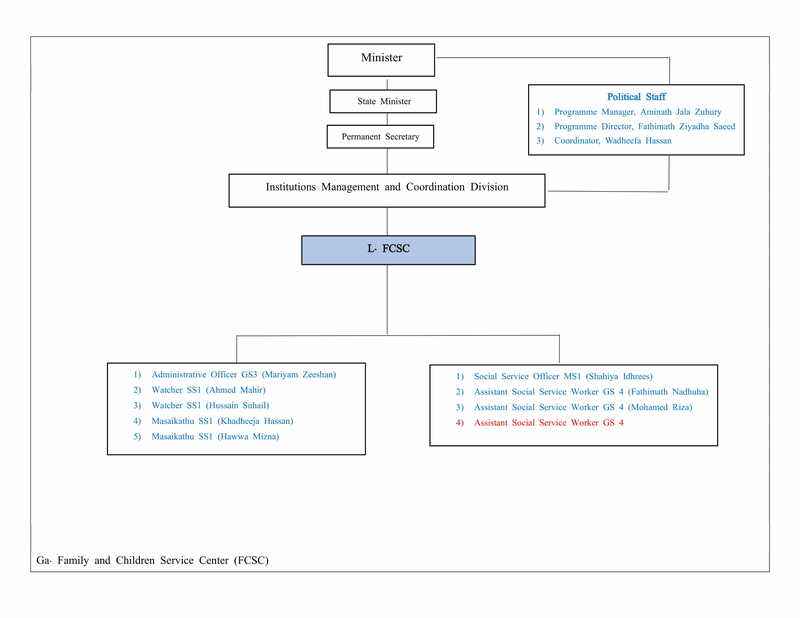 To advice on the implementation of the laws and procedures at atoll level, put in place to eliminate factors that negatively impact family relations, and to bring these to the attention of the concerned authorities. 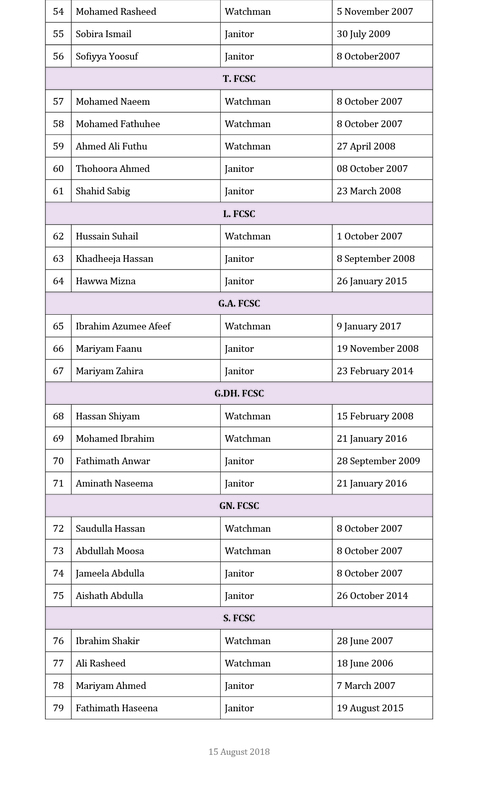 Create awareness on gender equality and increase participation of women in atoll development. 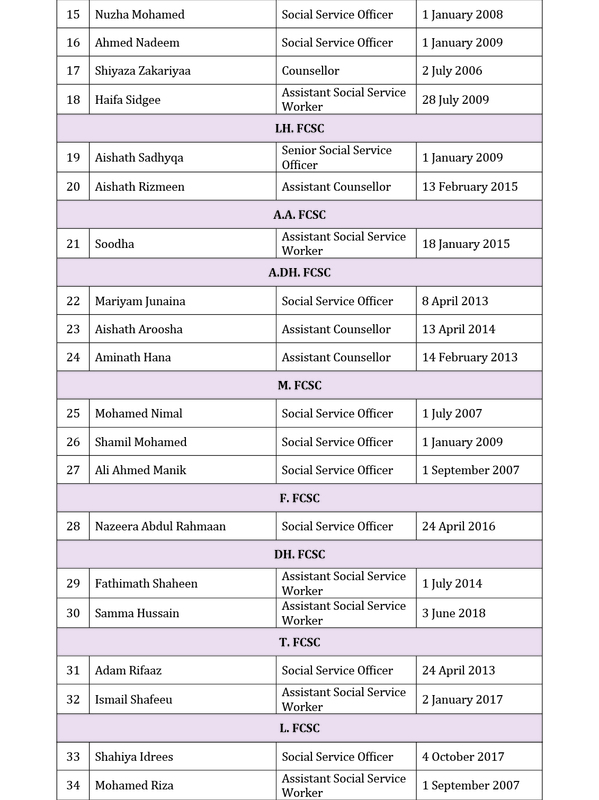 Provide support to strengthen Women’s Development Committees in atolls. 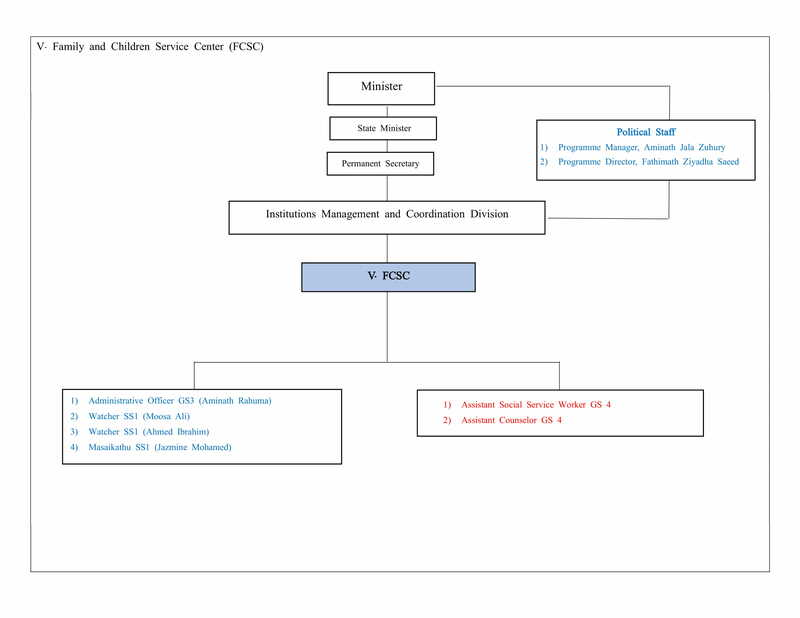 Conduct awareness programmes at island and atoll level to empower and protect the rights of women, children, elderly and persons with disabilities. 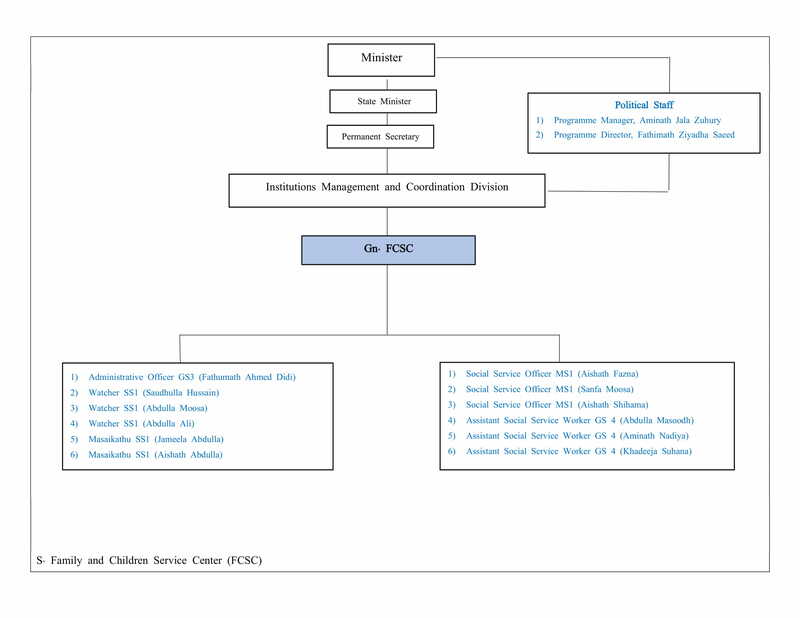 Ensure that FCSCs, established to deliver decentralized services to citizens in the atolls, carry out all services provided by the Ministry.